Earlene Robinson Price, former City Registrar for the New York City Department of Health, has been recognized by Marquis Who’s Who Top Health Care Professionals for dedication, achievements, and leadership in public health administration. For Ms. Price, coming from a family of believers has been the key driver in her success. Growing up in a church setting, her faith is something that has always instilled a sense of strength and kindness within her. Now retired, Ms. Price is regarded by her former colleagues as somebody who was always there to lend a helping hand even if that is just a word, or a kind deed. She dedicated much of her three-decade-long career to the New York City Department of Health, where she started out as a secretary to the commissioner in 1978. Over the next 17 years, she would progress into increasingly responsible roles for the Division of Vital Records. Notably, she served as assistant director for four years, director for five years, and city registrar for five years. Additionally, in her career, Ms. Price worked as a director of records for the Office of the Chief Medical Examiner. It was in this role that she was able to showcase her intrinsic compassion and empathy for others as part of her role included providing counsel to family members who had lost a loved one. Ms. Price holds a Bachelor of Arts from Queens College, which she earned in 1979. In recognition of her professional excellence, she was the recipient of numerous Certificates of Appreciation from the New Jerusalem Worship Center, the Mayor of New York, the Commissioner of the New York City Department of Health, and the U.S. Marshals Service. Additionally, she was the recipient of a Who’s Who Lifetime Achievement Award. 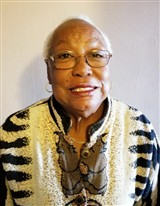 In her free time, Ms. Price has given back to her local community through a number of efforts, including her work on the board of directors for the Jamaica Service Program for Older Adults, the board of trustees for the New Jerusalem Worship Center, and as a tutor for the After School Program at Rush Temple AME Zion Church. In the years to come, Ms. Price intends to continue in her civic work while enjoying her well-deserved retirement.